WORLD PREMIERE Lizz Winstead, co-creator of The Daily Show, is furious. Even before the arrival of the Trump administration, Winstead realized women’s reproductive rights were being eroded across the nation. In effort to create a sustainable agency for change, Winstead formed Lady Parts Justice, a collection of activists and comedians. 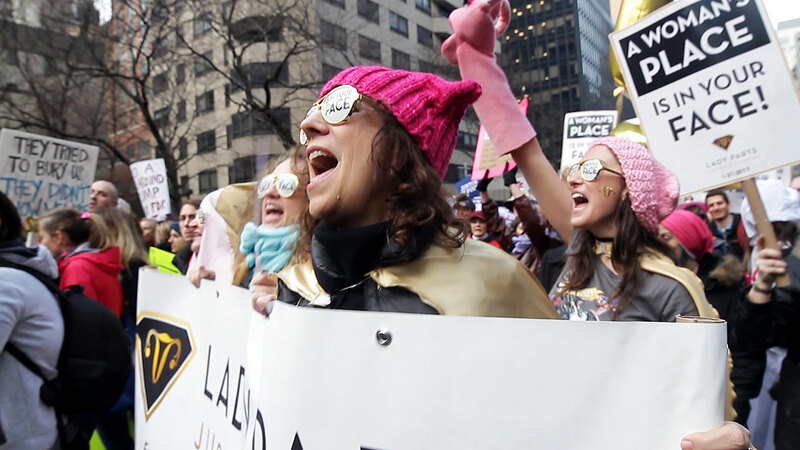 Setting off on the Vagical Mystery Tour, the Lady Parts Justice League brings its political satire-infused advocacy across the US to educate communities about legislative attacks on beleaguered abortion clinics. Urgent and funny, this series is an uplifting reminder of the power of protest. DOC NYC is proud to debut two episodes of the series, followed by an extended discussion.